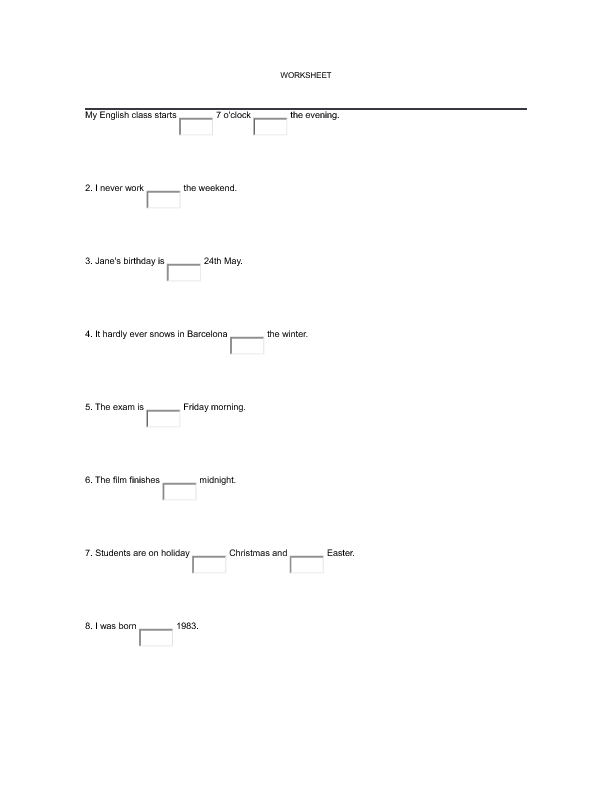 This worsheet helps students who will be learning the prepositions of time. There are exercises where they can use in, on, at. They are simple but very useful for learning.